Òran Mór is a truly unique and iconic Scottish venue with an enviable location, opposite the Botanic Gardens in the heart of Glasgow’s West End. 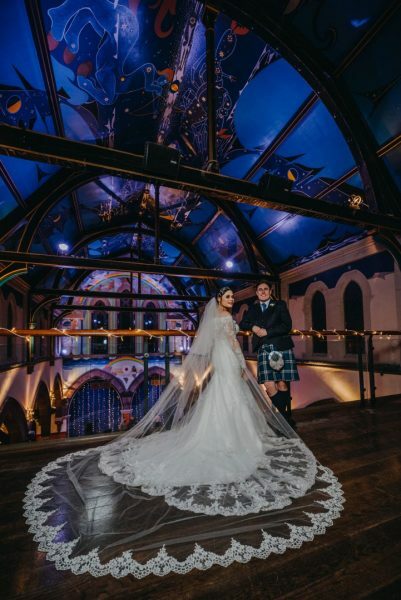 Formerly Kelvinside Parish Church (founded in 1862), we seamlessly blend the awe-inspiring traditional church features with contemporary additions, such as our celestial ceiling mural by acclaimed Scottish artist and author Alasdair Gray. Flooded with natural light and original stained glass windows, we are the perfect choice for a unique and unforgettable day! From small and intimate ceremonies in our Gallery to unforgettable larger ceremonies and dinners in our stunning Auditorium, we can create the perfect setting for your big day. Our Wedding Coordinator will guide you through all the planning and we will create the perfect package for you. From your initial enquiry through to your big day, you will have one contact ensuring a personal and efficient service. 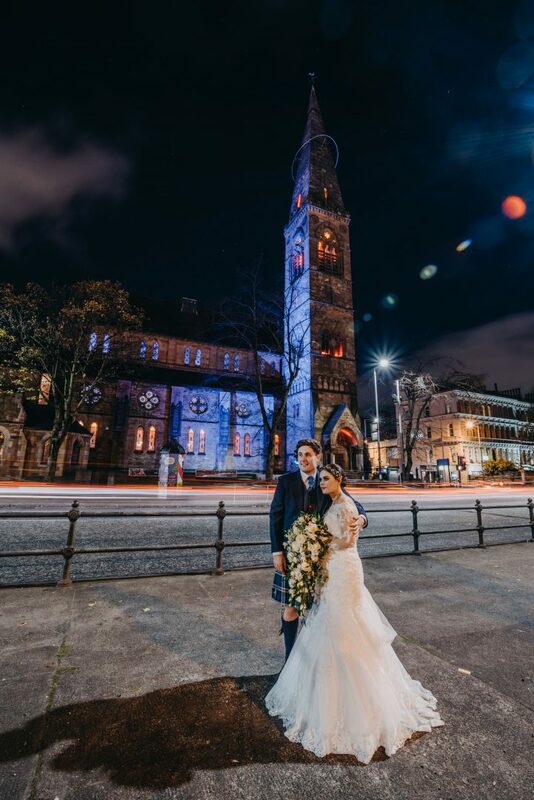 We recognise that each wedding is unique with different requirements and therefore, we offer complete flexibility including bespoke menus and an accommodating approach to any request. Download the 2019/20 Wedding Brochure here.